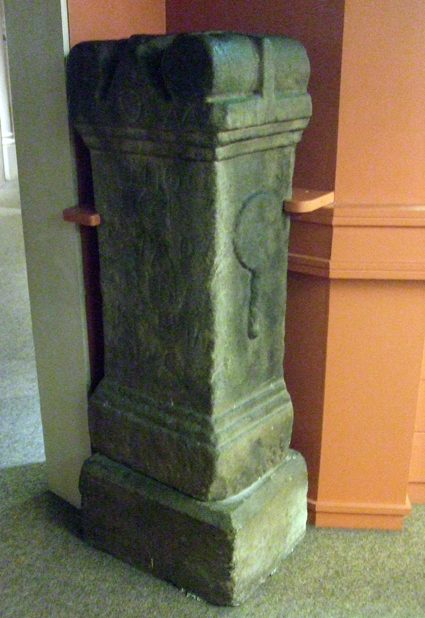 Here's a picture of another item relating to Roman religion that is on display in the Verulamium Museum at St Albans. If you read my blog regularly you might remember that last week I posted a photo of a mosaic depicting a god - probably a sea god. Stone altar found at Clifton, Westmorland. On the left side is a jug and on the right, a patera. Both of these objects were used to make offerings. The inscription reads: "To Jupiter best and greatest, and to the Genius of this place. Surbrius Pollinaris, princeps of the First cohort of V(...) (set this up)."